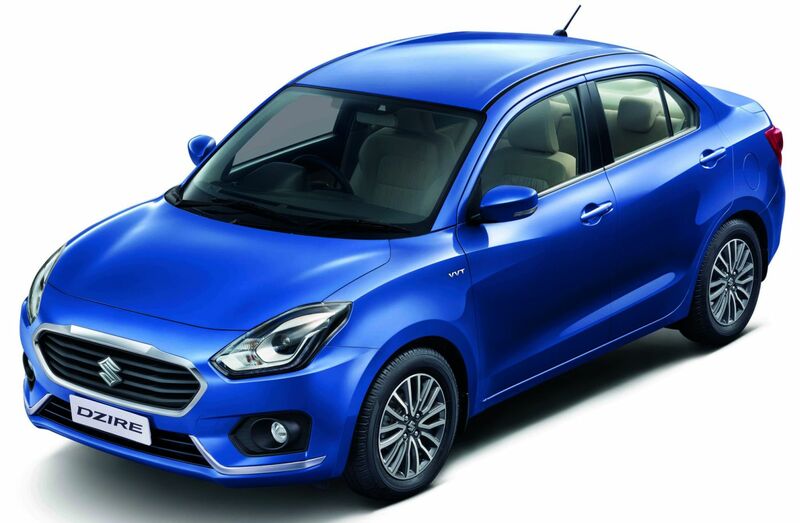 Maruti Suzuki has launched the new Sedan car called Dzire in India. The company dropped the Swift name from the car name and now it’s called Dzire. Maruti Suzuki Dzire 2017 now comes with fresh design low and wide stance, rich side body sculpting and wrap around, inclined and swimming A-pillars, Auto LED projector headlamps with DRL and two-tone alloy wheels. 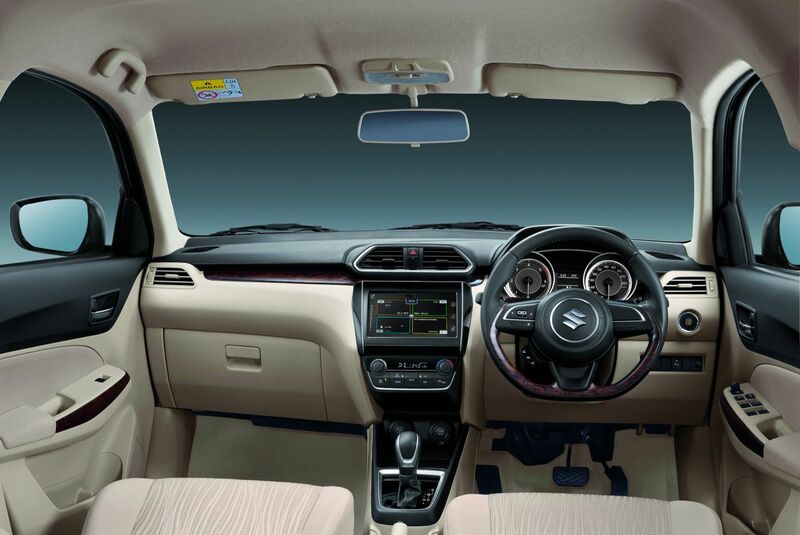 The Dzire 2017 also comes with fresh interior with All new steering wheel, Driver side tilted central instrument console, chrome accentuation on the console, gear knob, steering and speedometer rings, rear AC vent and utility spaces and larger boot space. As we seen in other latest cars from Maruti Suzuki, the Dzire also comes with large display Smart Play infotainment system with Apple CarPlay, Android Auto and Mirror Link support. 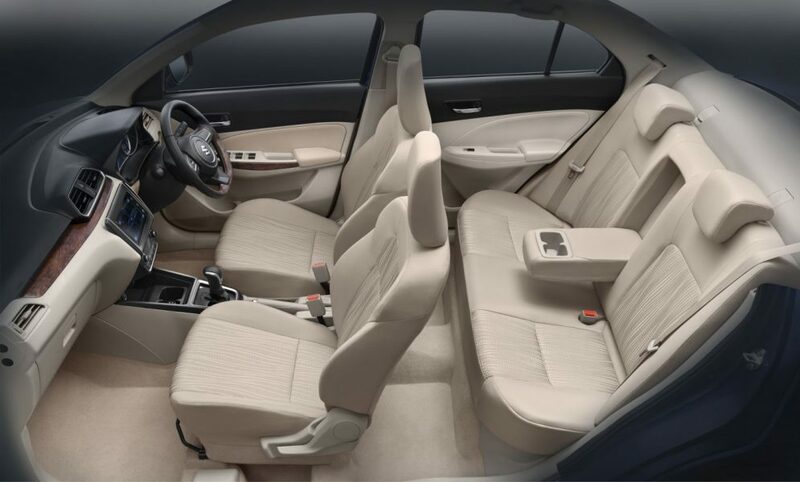 In security, the car has standard dual airbags, pre-tensioner force limiter seat belts, ABS wit EBD (Standard) and child seat restraint system. The Auto Gear Shift is now available on more variants of Dzire, both Petrol & Diesel engine. The car is available in both Petrol & Diesel engine, the Petrol Engine gives max power of 61 kw @ 6000 RPM and max torque of 113 Nm @ 4200 RPM. The diesel engine gives max power of 55 kw @ 4000 RPM and max torque of 190 Nm @ 2000 rpm. The Petrol engine gives mileage of 22 kmpl & diesel engine gives 28.4 kmpl.